Advantages: An excellent publication that strikes the right balance between historical fact, photo coverage and high quality colour profiles. I first became aware of the German eight wheeled armoured car in 1974. Tamiya had just released the 1:35 scale kit and from all the preview photos I had seen it looked to be loaded with detail. When the kit arrived on Christmas day of that year I was duly impressed. I remember thinking at the time, wouldn’t it be great to have a book of some sort to help me build this model. Nevertheless, I just followed the instructions and brush painted it in a glossy grey colour. Times change and we have better kits and more information. The “Nuts and Bolts” series of reference titles really need no introduction. What they offer is a one-stop reference source for the particular vehicle they cover. I like the convenience of these books. For me, it’s is so much easier to just grab them, open a page when I require it and basically getting on with it. In reality, these books are more like four traditional books in one: a development history, wartime photo coverage, line drawings and colour profiles and a comprehensive walk-around photo essay. This new reference work has some 201 pages. It was prepared with the aid of a restored example, although the restored example, has a few historically inaccurate reproductions on it.This reference work is logically broken down into segmented parts. 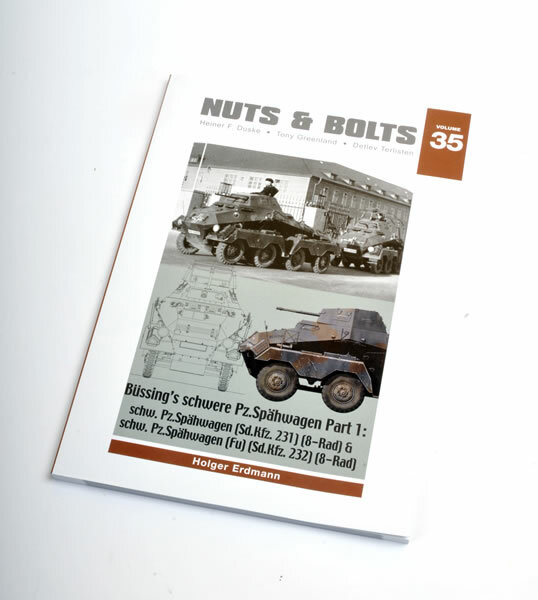 The first 121 pages are devoted to the development and history of the weapon’s use in German service. 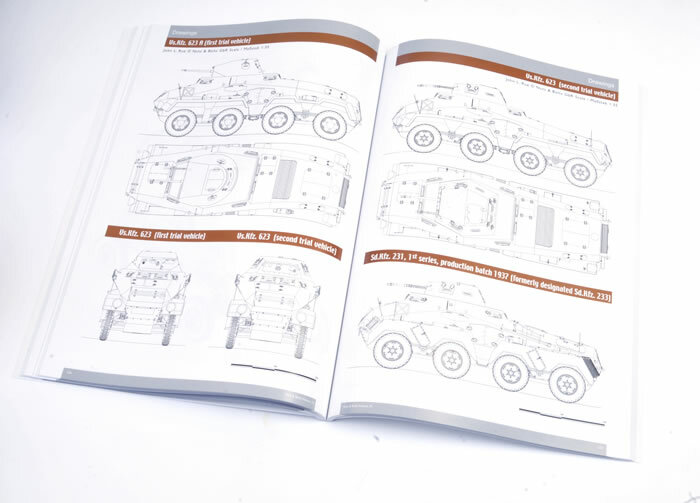 Within this section, selected subsections discuss the development and technical description, followed by the differences between the prototype and production vehicles. 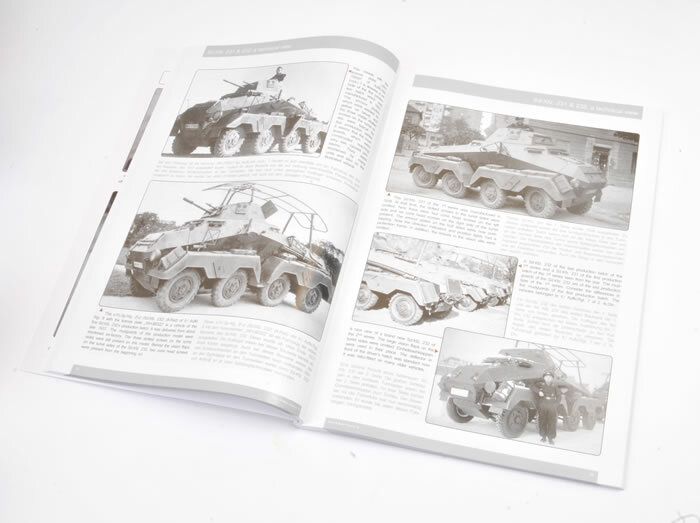 The book is jammed packed with details like the variations of the weapon system itself and how they were used in the field. 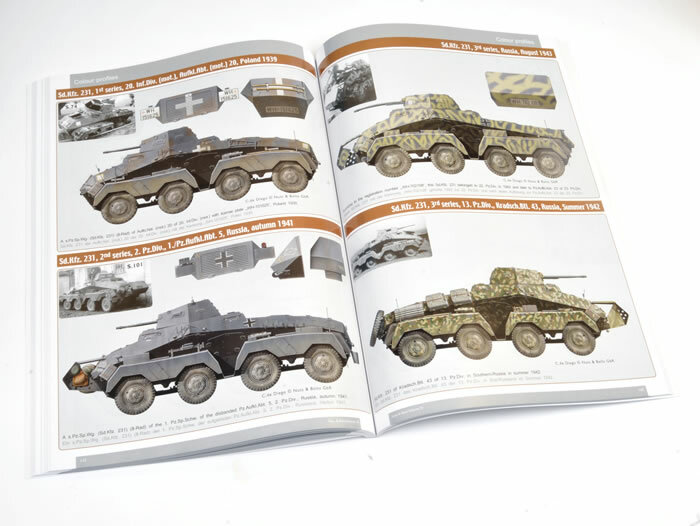 I particularly liked the way the author has detailed each division that operated these vehicles and in what time frame. 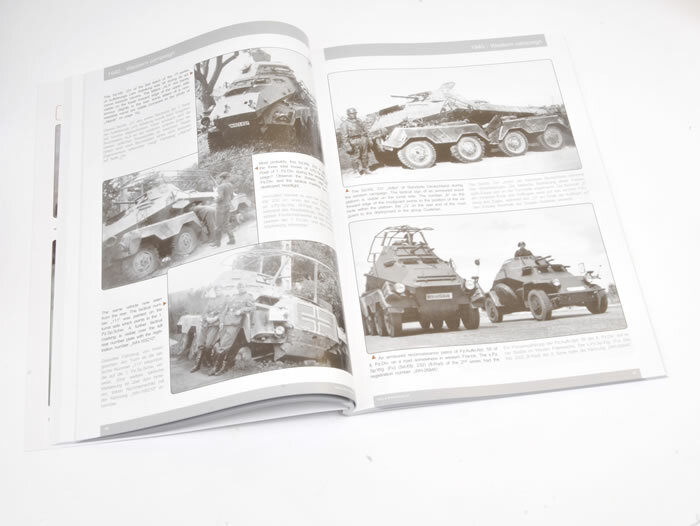 The first section is lavishly illustrated with a more than 165 black and white wartime photos. The clarity and captions on these photos are noteworthy as they cover a vast number of additions and modifications adopted in the field. The next 19 pages are devoted to 1:35 scale plans of all the known versions. John Rue never disappoints with his illustrations and the four three-dimensional drawings just add to the experience. 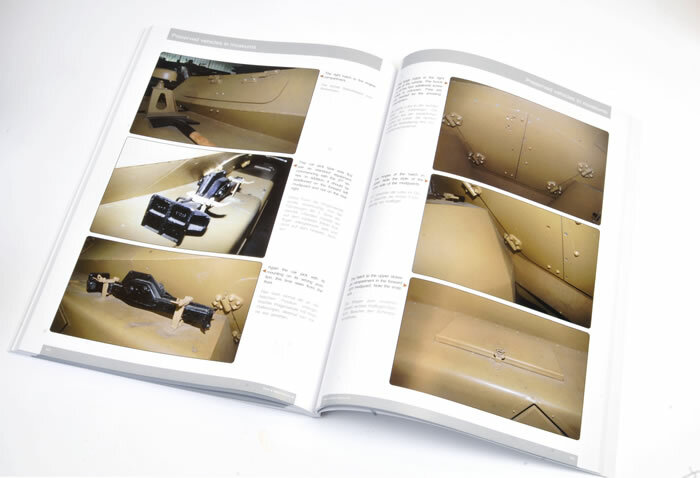 The complete chassis drawings will come in handy for anyone wishing to detail the engine compartment as they are pretty much all you would need. Fourteen colour profile drawings follow over the next seven pages and are wonderfully executed and presented. What I like about these profiles is that within the profile itself, a small black and white photo is inserted to which the artist has given his interpretation. I believe this should be the industry standard. The next 44 pages consist of 126 colour walk around photos of a restored example. The entire vehicle is covered from the interior; engine through to a detailed study of how all the various hatches opened. As there are only two examples of the early version of this particular vehicle is something of a coup. Due to the rare nature of the vehicle however, some of the details on this restored example are incorrect as noted by the author in the captions. 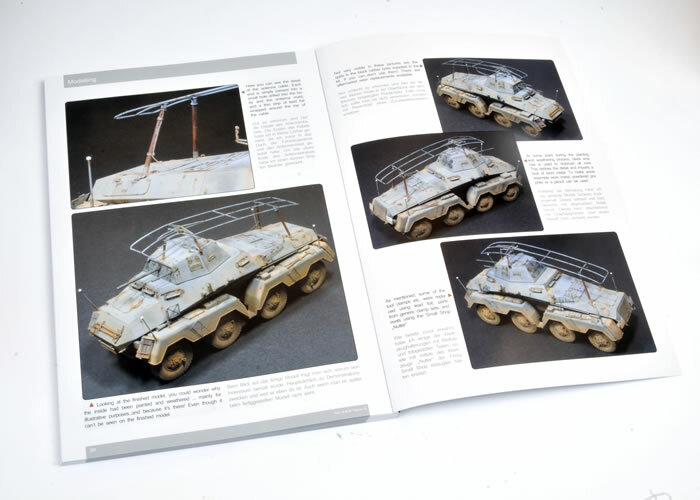 The last 10 pages are devoted to two model builds that are generally okay but, in my opinion, not really up to the standard set by the rest of the book. In summary, if you plan to build this particular vehicle then you really can’t go past this book. It is everything you could possible need reference wise. 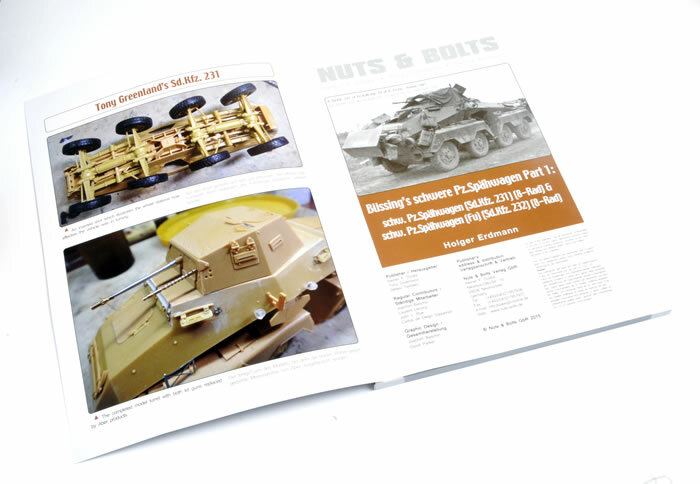 Nuts and Bolts publications are available online from their website.